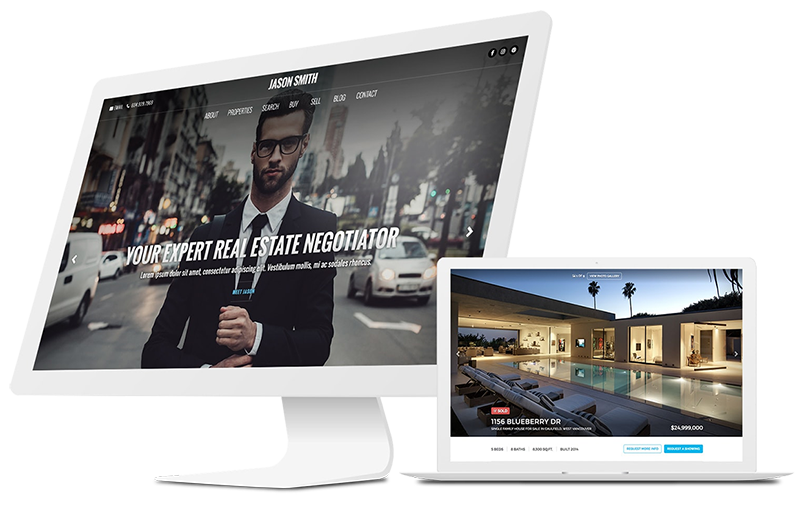 Create Beautiful, Lead-Generating REALTOR® Websites with No Technical Experience. Unlimited Free Trial & Free Assisted Setup! We don't think REALTORS® should spend all day sitting behind a computer trying to get their website to play nice. We've built our websites to be beautiful, time-saving and focused on generating leads while making you (and your clients listings) look great online. Whether you’re on a computer, tablet or smart phone. We make sure it looks great. All the features that actually help grow your business, with none of the fluff that won't. Our team of web geeks help you go from novice to ninja without having to break a sweat. "The benefits have been enormous. They are local. They are young and hip. They utilize the most cutting edge technology and provide it to their clients more affordably than anyone else. They are always available by phone or email to provide support and assistance. They're never complacent and are always looking for ways to improve or update their product. They're simply freaking awesome!"